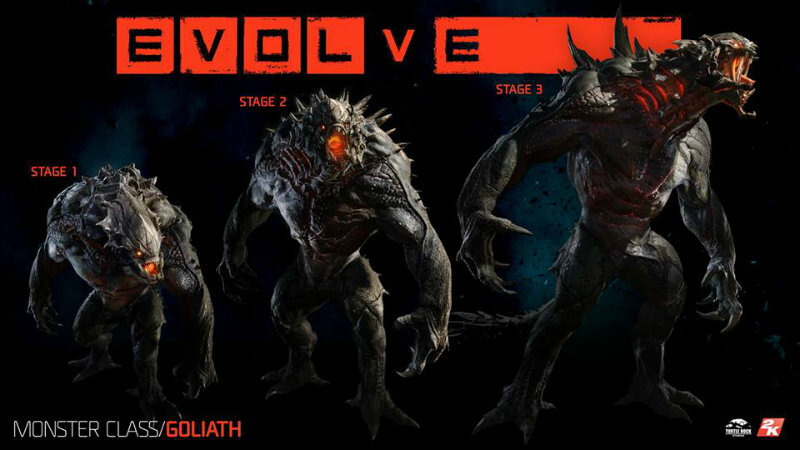 I’m amped for Evolve. It’s not my usual type of game – there’s no real storyline, no character development, no RPG party mechanics. And yet, it’s one of my most anticipated games of 2015. I have a ridiculously fun time playing it at events and I can’t wait to have it in my living room. However, it’s causing controversy thanks to its approach to future content. 2K and Turtle Rock were very open about their approach to DLC right from the start. They explained that they didn’t want to segment the community based on DLC. As a result, everyone would get all the maps and game modes, so whether you and your friends all bought the same DLC or not, you could play together (on the same platform, of course). They knew that they wanted to give plenty of variety for people, so there were going to be three complete sets of hunters and monsters – that’s 12 hunters and three monsters, as described right from the start. If you compare it to any other game in a similar genre, it’s offering quite a lot of content in the base game. Of course, people also get into these sorts of games and want a whole bunch of new content all the time. They want new maps, new modes, new characters to play as. As promised by Turtle Rock, any and all maps and modes will be available to gamers whether they buy DLC or not. However, they still need to pay their people for continuing to develop content for the game and ensure that it’s still getting played after the usual three month hype window. This means that there is a whole bunch of DLC planned for the game. Turtle Rock and 2K were also upfront about this. 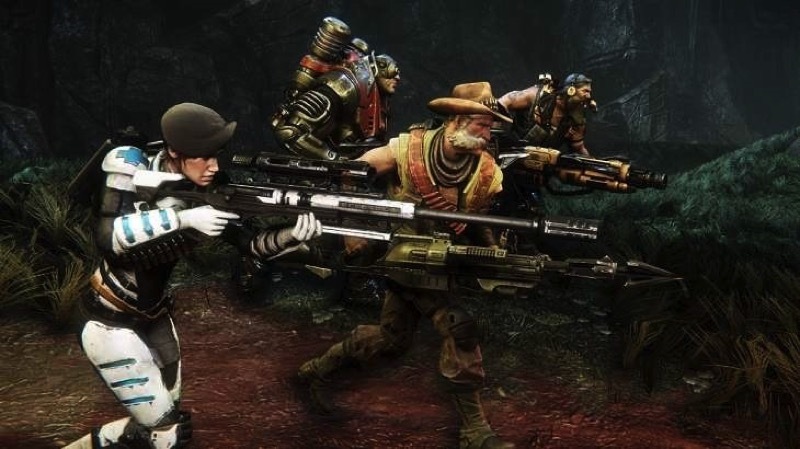 If you know that you will love Evolve, you can buy the fancy shmancy edition of the game and ensure that you get all the DLC as it becomes available, as well as some skins as a reward for being so gung ho. If you’re a bit more hesitant, you can wait and see what is released in the DLC and cherry pick the things you want. Of course, the pre-order discount won’t apply. While I hate superfluous DLC that feels like money-grubbing from the studios, this DLC doesn’t feel that way to me. The base game will still offer a complete experience. You can play with friends on any map or mode regardless of who has what DLC. These DLC options are designed for the die hard fans of the game who play as Goliath or Kraken or Wraith for hours on end and eventually want to try a different monster or two. Same goes for hunters. It takes a while to get the hang of the various play styles – it’s not as if you’ll get bored with the starting options after a day or two. Unfortunately, gamers are feeling cheated by 2K and Turtle Rock. The fact that the plans for DLC are in the works before a game is released does feel a bit horrible – I agree that I hate hearing about things you can buy for more money when I’ve barely even spent the original money on a game. However, it’s the new state of the industry. Studios have to make DLC for every game, and they will get a whole lot more out of it if they promote the DLC while the hype is busy around the game’s launch. I wish that games could just be launched with every single idea the studio has for content, but then we’d be waiting even longer for games and it wouldn’t be worthwhile for studios to make as much content. I don’t like being nickel and dimed by DLCs, but I’m perfectly willing to pay for more worthwhile content. 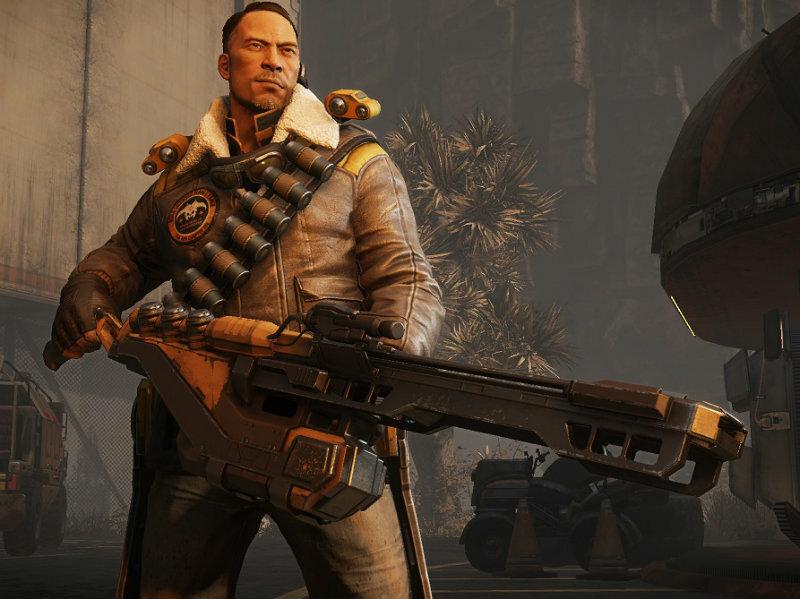 If gamers are so upset about Evolve’s pre-order and DLC options that they don’t buy the game, it could cause some serious issues for the industry going forward. Studios want to offer games with longer life spans – not only to curb people’s whining about games that run out of content, but also to get more money over a longer period of time. If gamers refuse to buy into this business model it could mean that they will need to reassess the types of games that they make. We could end up with much smaller games released more frequently as more content simply isn’t profitable for publishers. 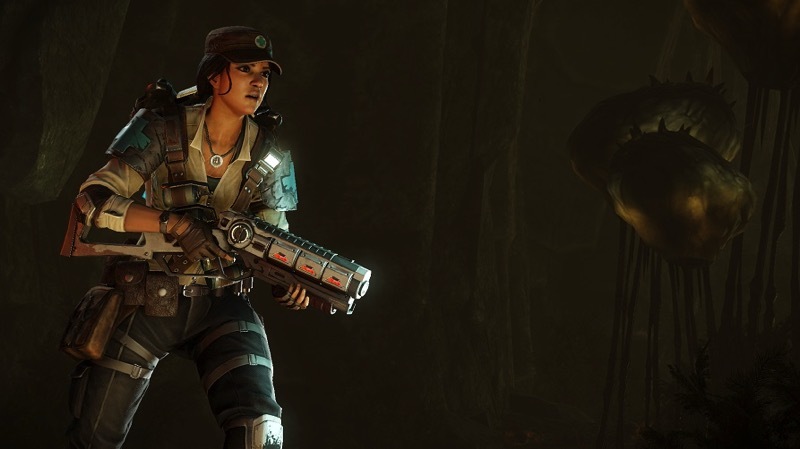 Evolve is seriously hyped at the moment. I think it deserves the attention that it’s getting – I’ve enjoyed every moment that I’ve had with the game. If with all this attention, critical acclaim and cool gameplay they are foiled by their DLC policy, it might make the industry take notice. Unfortunately, I don’t believe that would be beneficial for future game releases. 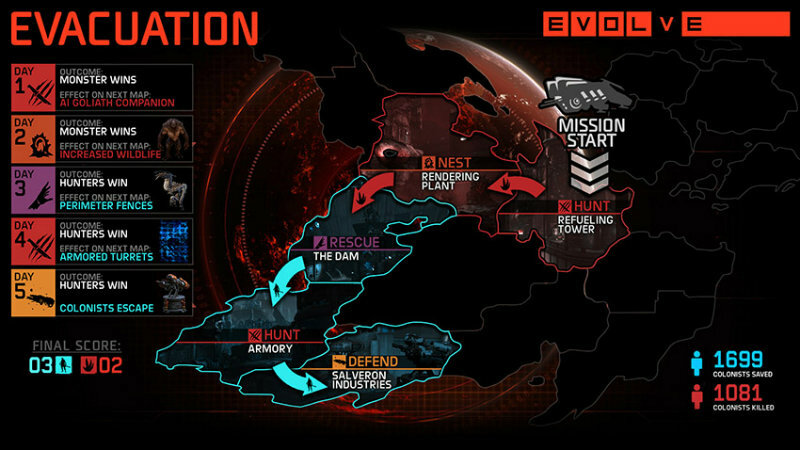 Of course, if Evolve is successful in following this model, I hope that it is used in other games. It would be great to see a whole bunch of free DLC given to communities, supported by some awesome paid DLC for the die hard fans. Additionally, I like Turtle Rock’s transparency on the issue from the start. I’d like to see them rewarded for this and more studios following suit and explaining their DLC policies.